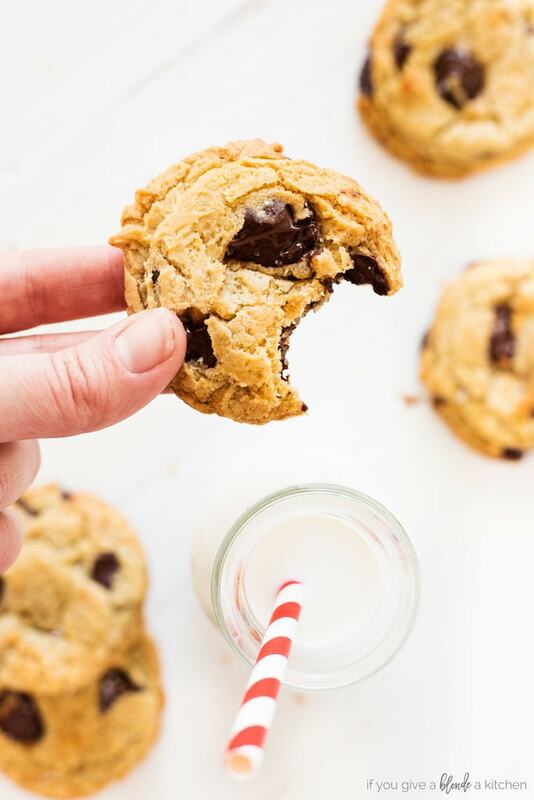 Homemade chocolate chip cookies are chewy, rich and filled with chunks of chocolate chips. This is a classic recipe you will use time and time again! Nothing beats homemade chocolate chip cookies. 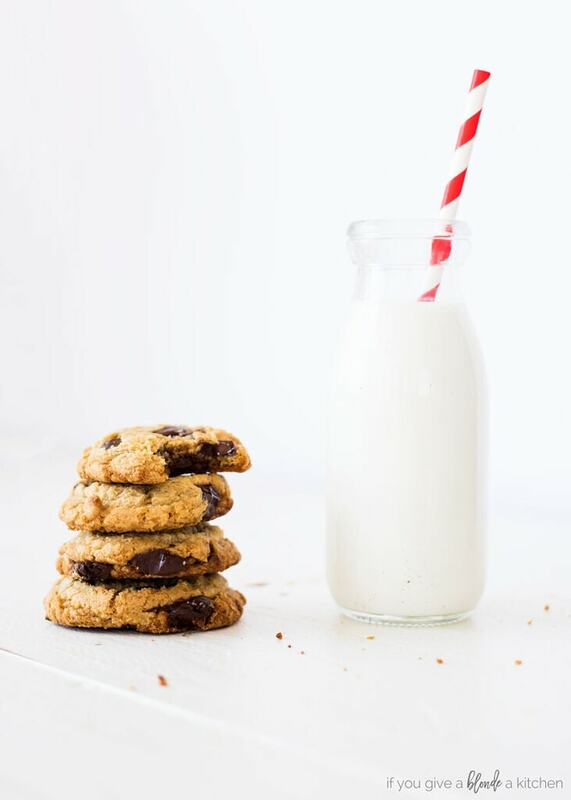 Warm cookies right out of the oven with melted chocolate chips and a cold glass of milk—that to me is pure bliss. 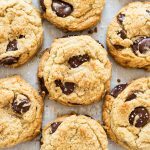 Today I’m going to share with you my favorite chocolate chip cookie recipe. I’ve been using it for years and it’s one of the few recipes I have memorized. I’ve made these cookies so many times I swear I can bang out a batch of homemade chocolate chip cookies in under 15 minutes. 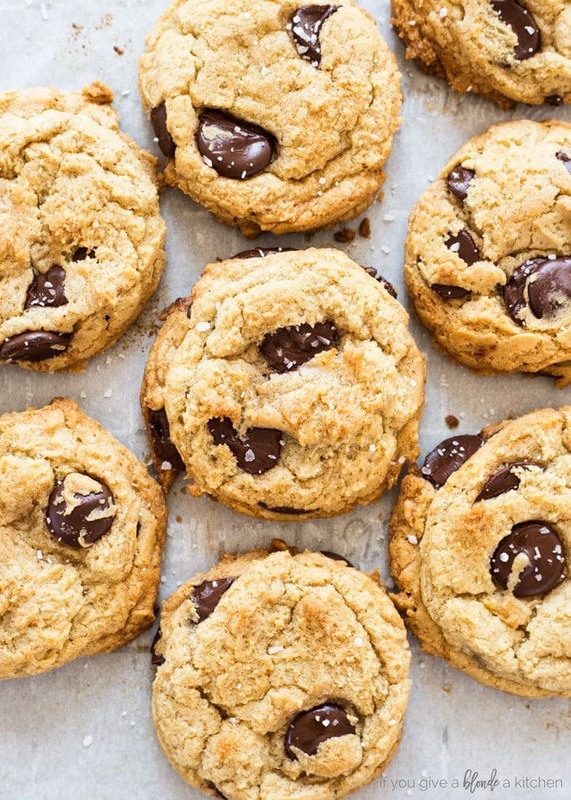 There are a few key ingredients and steps that help make chocolate chip cookies chewy. Two vital ingredients are egg yolk and brown sugar. The two bind the dough together and create a chewy consistency. An important step is rolling the cookie dough into balls and chilling in the refrigerator. It creates less spread when the cookies bake, keeping them thicker and chewier. Brown sugar makes thick, chew cookies because it contains molasses. Light brown sugar has about 10% molasses while dark brown sugar contains closer to 20%. I opt for light brown sugar so the taste isn’t affected. Molasses adds moisture and helps the dough to firm up faster (read: chewier consistency). It’s still important to use white sugar because you need a little dryness in the dough. Another key step is chilling the cookie dough before baking the cookies. It gives the ingredients time to meld together and also keeps the cookie thick in the baking process. Cold cookie dough = less spread. You can chill the dough then scoop or vice versa! I prefer to scoop the dough into balls (using a medium cookie scoop) and placing them on a baking sheet before chilling in the refrigerator. That way they are ready to go once they are chilled! 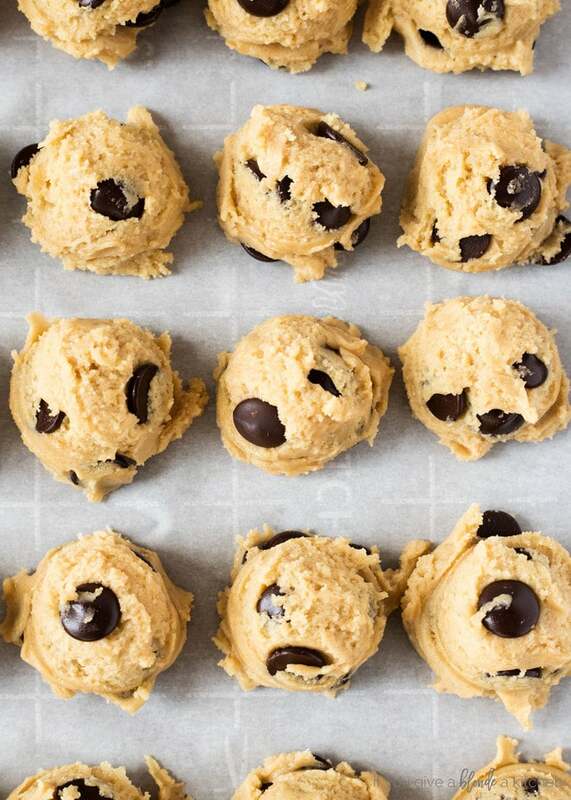 You can also freeze the cookie dough for up to a month. If you scoop the dough into balls prior to freezing, you can bake them any time you want! This recipe was updated April 3, 2019. In a medium bowl, whisk together the flour, cornstarch, baking soda and salt. Set aside. In the bowl of a stand mixer fitted with a paddle attachment (or using a hand mixer), beat on medium speed the melted butter, brown sugar and granulated sugar until light and fluffy, about four minutes. Scrape down the sides of the bowl when necessary. Add the egg, egg yolk and vanilla. Beat until combined, 20 to 30 seconds. Preheat oven to 350 F. Remove plastic wrap from baking sheet and bake cookies for 10 to 12 minutes or until the edges start to turn brown. Cool on the pan for 5 minutes and then transfer to a wire rack to cool completely. Store in an airtight container at room temperature. Cornstarch helps keep cookies soft and thick. Alternatively, you can refrigerate the dough in the bowl and scoop chilled dough immediately before baking. Cookie dough (in the bowl or scooped into balls) can be stored in the refrigerator for 3 days or in the freezer for 1 month. 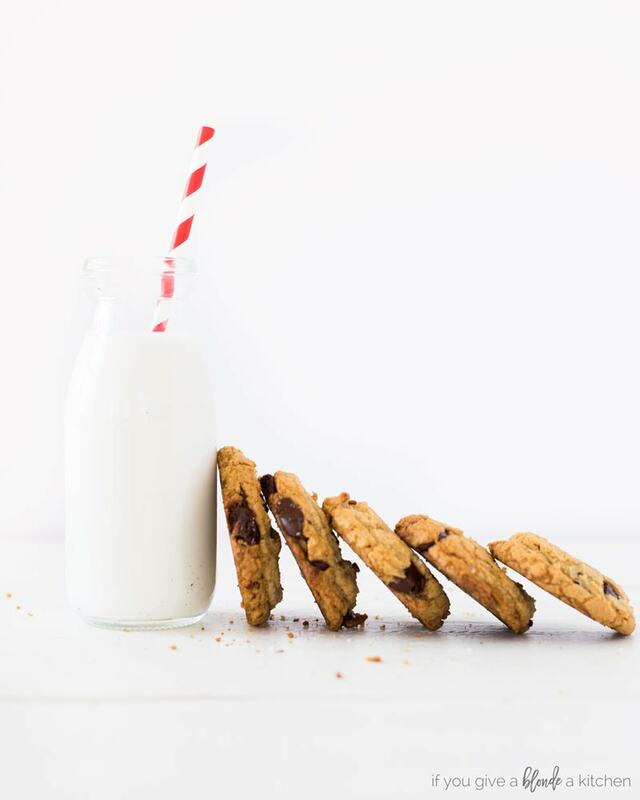 What a fun video – and these cookies look absolutely delicious!!! 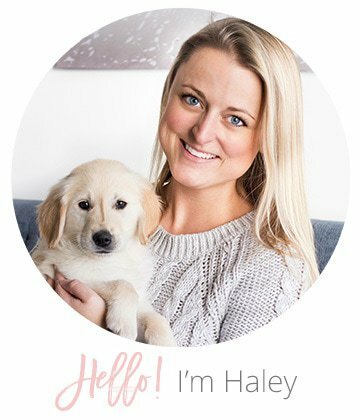 Definitely pinning! I love a good cookie and these look amazing. Great video too! They look so delicious and like you say, nothing beats homemade! I gave your brownie recipe a try and it was a complete success. Everyone loves it. I’m definitely gonna try this. I’ll let you know how it turns up. I’m so glad I found your blog. Thank you! You’re most welcome Hasitha! I am so happy you enjoyed the recipe.